While the concept of gourmet free sample olive oil and balsamic vinegar shops is no longer novel, there is one such place tucked away in Downtown Naperville where they have turned the concept into community through equal ingredients of passion for food, a love for people and a true understanding of the ways in which food connects us. I first discovered the The Twisted Olive , which is tucked away down the quaint alley off of South Washington Street between Jefferson Ave. and Chicago Ave., shortly after they opened their doors I believe a couple of years ago. The owner approached my wife and I that day with that fresh and enthusiastic smile you expect in the opening days of a new business. With the smell of fresh baguettes in the air, I listened to the owner’s vision for the store which stretched far beyond their gourmet oils and vinegars into classes and events. From day one, The Twisted Olive aspired to become a community space designed to bring people together using one-of-a-kind foods as the ingredient. The space itself includes an area with plush chairs designed for planned gatherings, events or a simple reprieve while shopping. As for their products, the weight of our bag as we exited out to the alley was a testament to the quality. We’ve returned a number of times since our first visit and our kitchen is regularly stocked with Twisted Olive Oils and Vinegars. More recently, they’ve also added select wines and craft beers to their experience. 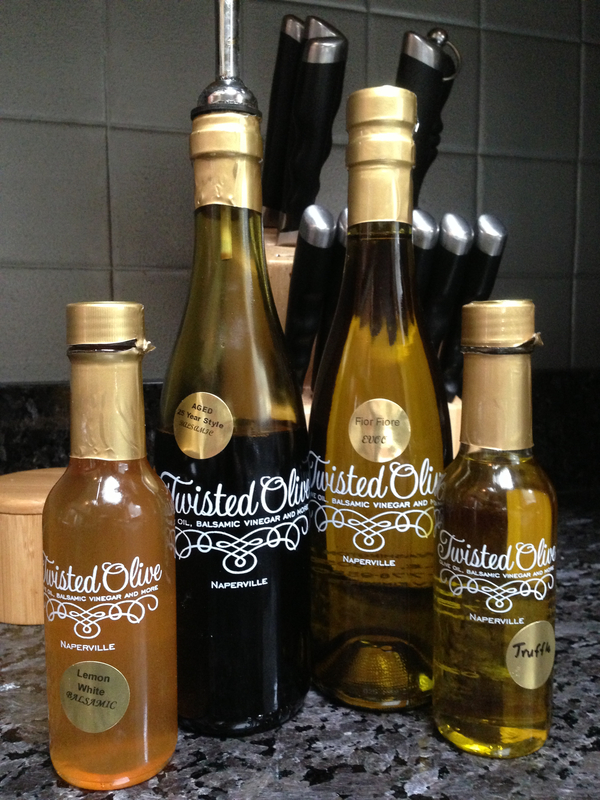 My personal favorites… OLIVE OIL – Fior Fiore EVOO and Truffle; VINEGARS: 25 Year Aged Traditional Balsamic and Lemon White Balsamic. 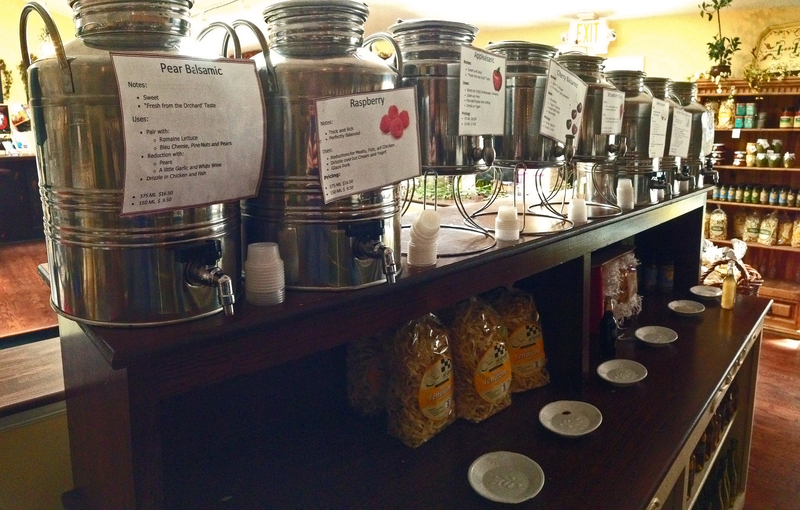 To those unfamiliar with The Twisted Olive, you are free to sample all of their oils and vinegars to your hearts content, which is always an experience in itself. Congratulations to the owners and team at The Twisted Olive for your continued growth in popularity and thanks for being part of the World of Naperville!